If you’ve made plans for June 7th, change them. 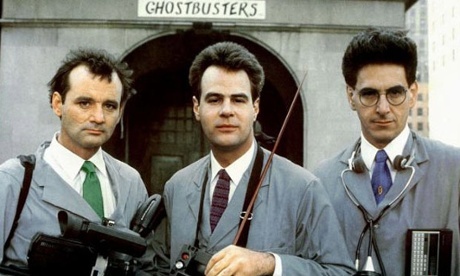 A world viewing of Ghostbusters is planned to help celebrate the 30th anniversary of the paranormal blockbuster! June 7th, 1984, Ghostbusters had it’s Hollywood premiere in front of a star studded audience. The next night, the world got to see it too. Saturday, June 7th, 2014, join ghost heads around the world as we all watch Ghostbusters together! 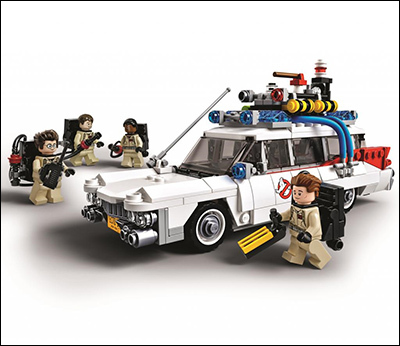 A little while back LEGO broke the news that they would be producing an official Ghostbusters set, following one of their recent Cuusoo votes. - The set is scheduled to go on sale in June of 2014, right in time for the film's 30th anniversary. - The set will retail for $49.99. - Ghostbusters Fans will have the set available for pre-order soon! Click here to see more photos of the set. Who’s the Hollywood Chamber of Commerce going to call this Thursday? 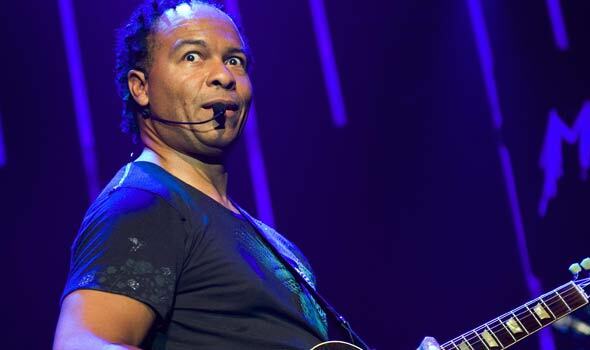 Ray Parker Jr.! This week, the man who earned a special place in all of our hearts with the smash hit “Ghostbusters”, will become the 2,518th talented visionary to be honored with his own star on the Hollywood Walk of Fame. The event will be streamed live on WalkofFame.com. Emcee Leron Gubler, President & CEO of the Hollywood Chamber of Commerce and guest speakers Brian Holland and Bill Withers will help Ray Parker Jr. unveil the 2,518thstar in the category of Recording at 7065 Hollywood Boulevard. Social media has lit up with actors, directors and other entertainment personalities giving their thoughts and memories on the late Harold Ramis. Deeply saddened to hear of the passing of my brilliant, gifted, funny friend, co-writer/performer and teacher Harold Ramis. May he now get the answers he was always seeking. The world has lost a wonderful, truly original, comedy voice with the passing of Harold Ramis. He possessed the most agile mind I’ve ever witnessed. He always had the clearest sense of what was funny and how to create something in a new clever way … Harold had an extraordinary impact on my career and I loved him like a brother. This is just the saddest news about Harold Ramis’ passing. I never had the pleasure of meeting the man, but I was always very aware of the huge shoes I was trying to fill during my time playing the animated version of his unforgettable character, Dr. Egon Spengler, on The Real Ghostbusters. The man possessed a brilliant comedic mind, an indelible comic voice, and, as I came to understand from people who knew him, an extremely good soul. Rest In Peace, Mr. Ramis. My heartfelt condolences to your family and friends. 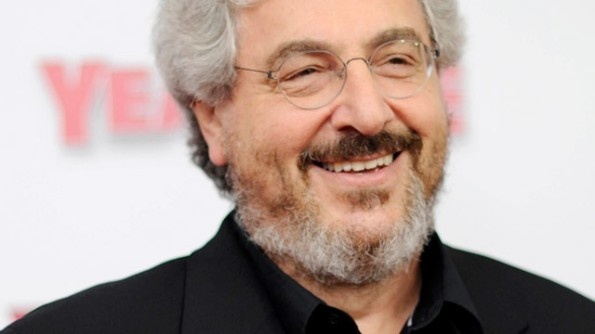 Sorry to learn of the passing of Harold Ramis – he was a wonderful person – a terrific talent & he died much too young. I am so deeply saddened by the news of Harold Ramis. Our connection was through a franchise that he helped build and I will be forever in his debt. Egon was my favorite Ghostbuster. Feels like we lost one of the Beatles. The Sony Pictures family sends its condolences to the family & friends of one of the true greats, and our dear friend, Harold Ramis. He will be missed. We invite you to share your thoughts and favourite moments of Harold’s long and illustrious career over on our Facebook page. Share this LOGO on your SITE! First 10 Ticket reservations get a FREE shirt! Original Launch of GhostBusters Day! 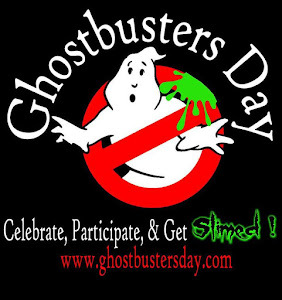 "In memory of Harold Ramis, I am making Feb 24th GhostBuster Day... The Day will be celebrated by watching Ghostbusters I &II and closing out the day by playing Xbox 360's Ghostbusters - The Video Game : Multiplayer"
Get Into the Action! 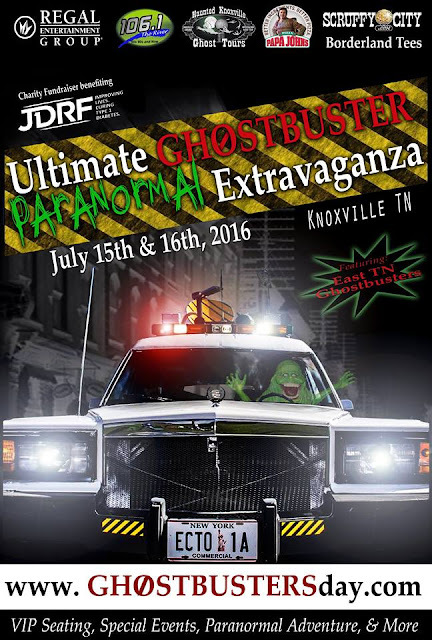 Be A Ghostbuster! Copyright Feb 2014. Travel theme. Powered by Blogger.